Like many businesses, your company may own mobile machinery. Examples are a backhoe or a truck-mounted crane that you use on your premises or at a job site. In the insurance industry, such machinery is called mobile equipment. This article will explain what mobile equipment is, and how it differs from an auto. Next, it will describe how mobile equipment is typically insured for liability. Finally, it will outline some issues that can arise when mobile equipment is driven on a public road. Auto and mobile equipment are defined terms in the ISO general liability and commercial auto policies. The definitions in one policy are identical to those in the other. Both policies define auto as a land motor vehicle, trailer or semitrailer designed for travel on public roads. An auto is used for transit. Its primary purpose is to transport people or property over public roads. In contrast, mobile equipment is used to perform an operation like digging, scraping, or lifting large items (think crane or forklift). It is used primarily off public roads. Mobile equipment may be driven or conveyed on a public road from one job site to another. Yet, transportation is not its primary purpose. A general liability policy covers claims against you for bodily injury or property damage that arises out of your ownership or operation of mobile equipment. This coverage applies whether the equipment is used at your premises or at a job site. For example, suppose that Larry’s Landscaping owns a mobile digging machine. Larry’s liability policy covers the equipment while it is stored on Larry’s premises. It also covers the machine while it is used at a customer’s location. The equipment is covered automatically. It does not need to be listed on Larry’s liability policy. Suppose that Larry’s Landscaping has been hired to construct a garden on a customer’s property. One of Larry’s employees is operating the digging machine when he accidentally rams the machine into the side of the customer’s car. When the customer demands that Larry’s Landscaping pay for the damage, Larry’s liability policy should cover the loss. Assume that Larry’s Landscaping has completed one job and is traveling to another job site. An employee is driving the machine on a public road when he accidentally rear-ends the car in front of him. If the car owner sues Larry’s Leasing for the damage, will Larry’s liability policy cover the claim? The answer may be no. Many states have passed compulsory insurance laws that apply to certain types of mobile machinery. The laws are directed at equipment that may be driven on public roads. They require owners of such machinery to purchase liability insurance that covers accidents on public roadways. The types of vehicles for which liability insurance is required vary from state to state. 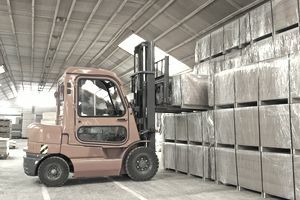 For instance, a forklift may be subject to a compulsory insurance law in State X but not in State Y. The definition of mobile equipment found in commercial auto and general liability policies excludes land vehicles that are subject to a compulsory or financial responsibility law in the state where they are licensed or principally garaged. Such vehicles are included in the definition of auto. Suppose you own a backhoe that is licensed in Maryland. If Maryland law requires you to insure the backhoe for liability, your backhoe is considered an auto under your auto and liability policies while it is driven on a public road. It is not considered mobile equipment during that time. Note that if a vehicle (such as a backhoe) meets the definition of mobile equipment but is subject to a compulsory insurance law, the vehicle is considered an auto only when it is driven on a public road. If the vehicle is involved in a road accident, you will need to rely on your commercial auto liability insurance to cover any lawsuits that result. The vehicle is still considered mobile equipment when it is not being driven on a public road. That is, it qualifies as mobile equipment while it is stored on your premises or while it is operated at a job site for digging, scraping etc. Claims that arise out of these activities are covered under your general liability policy.